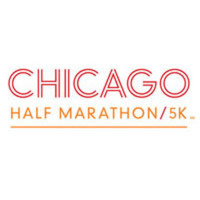 Celebrate the 22nd Annual Chicago Half Marathon & 5K on Sunday, September 23! Centered around Chicago’s historic Jackson Park, this epic event will have you traverses the streets around Hyde Park and the Museum of Science and Industry before winding on to traffic-free Lake Shore Drive. Register today and receive a commemorative shirt, legendary finisher medal and access to the finish festival featuring live music, Lagunita and more. We’ll see you at the finish line! The Chicago Half Marathon course then takes runners along Chicago’s south Lake Shore Drive, taking in the views of Lake Michigan, Chicago skyline and the Science and Industry Museum campus before a triumphant finish at the golden Statue of the Republic. Aid Stations will provide water and isotonic drinks approximately every mile. Gatorade-Endurance-logoGatorade Endurance is proud to partner with the Chicago Half Marathon to help fuel runners to the finish line. Grounded in years of hydration and sports nutrition research, Gatorade Endurance products are developed to meet the specific needs of endurance athletes. Lemon-Lime Gatorade Endurance Formula will be on course at every aid station. Endurance Formula has nearly two times the sodium and three times the potassium of traditional Gatorade. Newly formulated, it now contains no artificial flavors or sweeteners and has a new, lighter flavor. 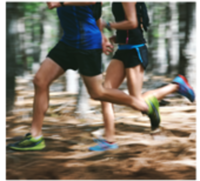 Toe the start line with confidence on by training with what’s on course. Runners can learn more about Gatorade Endurance Formula and fuel their training by visiting www.GatoradeEndurance.com. For your safety and the timely reopening of the streets to vehicular traffic, you must reach key locations by specified times or you will be required to take transportation provided. PLEASE DO NOT START EARLY! Traffic and safety rules prohibit early starts. Early starters will be eliminated from the official results. If you cannot maintain a 16-minute per mile pace, you will be required to board the support buses. The 5K will carry a 50-minute time limit for completion, or 16-minute mile pace. The course will take you through beautiful Jackson Park. Aid stations will provide hydration options. All stations on the course are single sided and will have medical personnel and portable toilets located nearby.